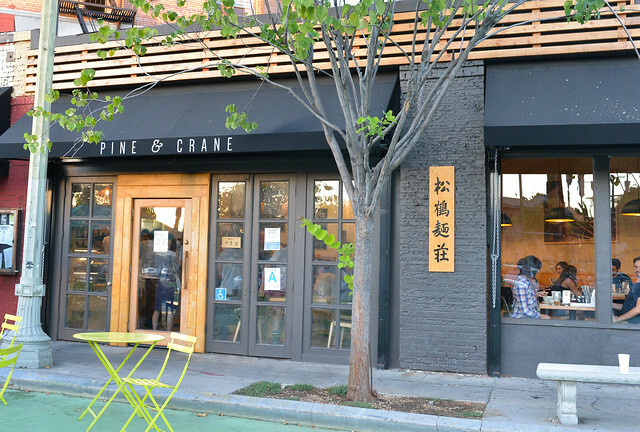 Pine & Crane opened earlier this year, bringing Taiwanese food to the Silver Lake neighborhood. 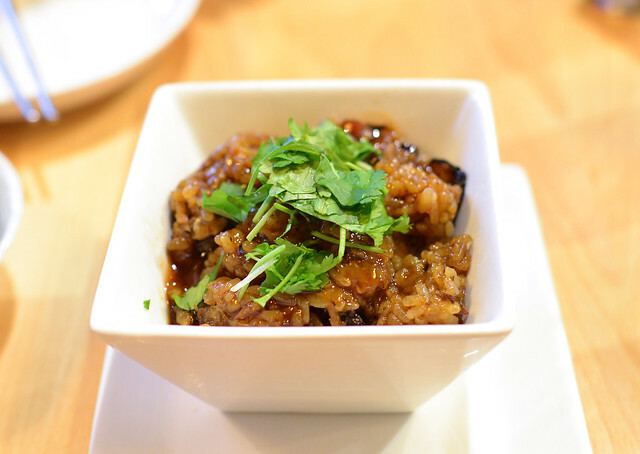 Asian food, particularly Chinese or Taiwanese, is always looked upon skeptically outside of the SGV, but Pine & Crane has opened to strong praise early on. The family’s background is in the food business; the Pine & Crane name is taken from a noodle factory they operated in China while all produce is sourced from a family farm near Bakersfield. Sounds like the right ingredients for a successful restaurant. The restaurant has been very popular and can get pretty crowded in the evenings (evident in the picture below). Food is ordered at the register, you take a number, find a seat, and the food comes straight to your table. 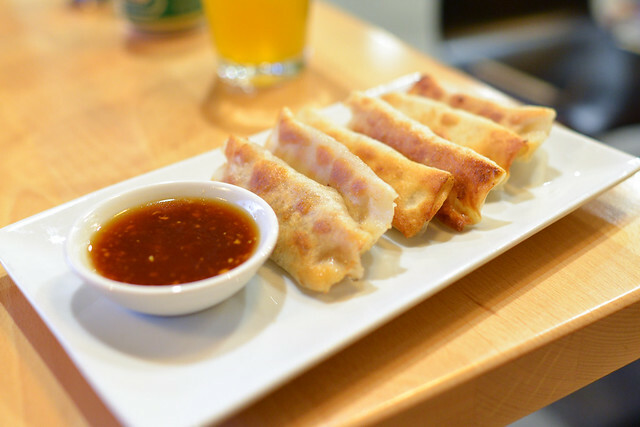 The menu is fairly focused, with a handful of small plates (dumplings, scallion pancakes, beef rolls), noodle dishes (both soupy and saucy), and rice dishes. 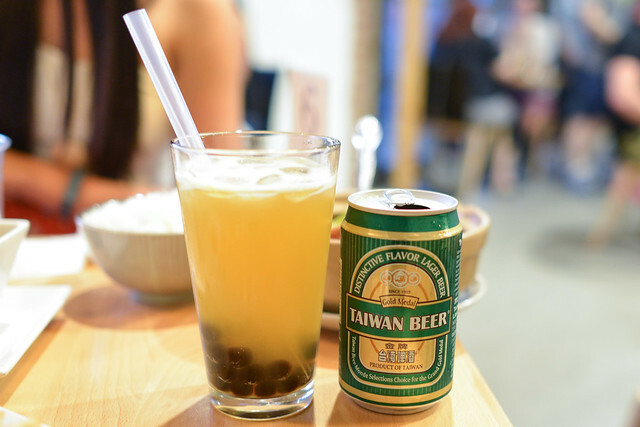 The restaurant recently got their beer and wine license; one of the more unique options was this one combining passion fruit green tea and a lager – Taiwan Beer (of course), with boba. It was an interesting mix; to me, it was more for novelty but tasted kind of like a fruity beer. With boba. 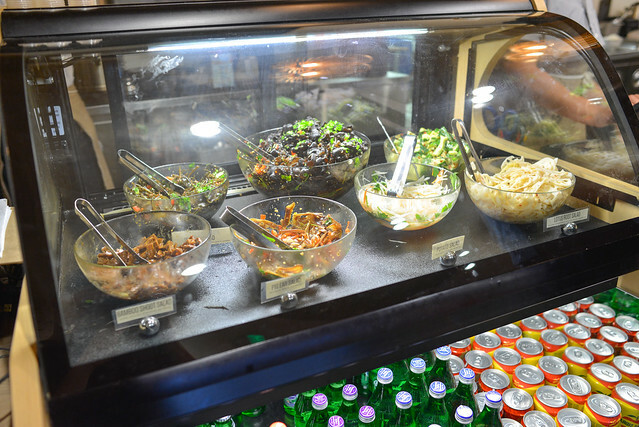 The cold case, next to the register, displayed the day’s cold appetizer offerings. Bamboo shoot salad, pig ear salad, potato salad, cucumber salad, and lotus root salad were all offered; however we got an order of the wood ear mushroom salad. 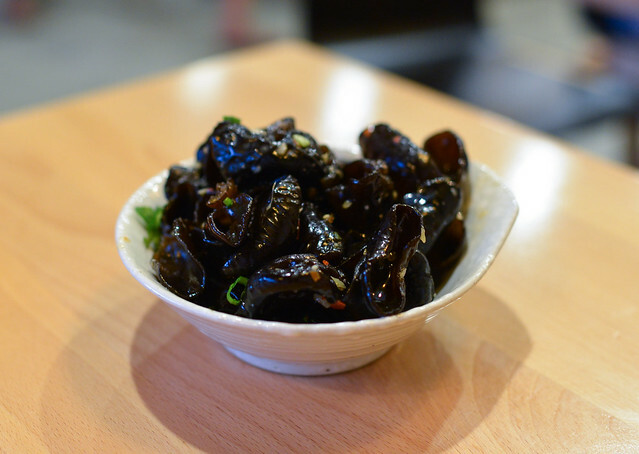 Slightly spicy, the mushrooms were flavorful and had great springy texture. The potstickers were crispy, but much too doughy. They really needed more filling; while the pork was noticeable the cabbage was not. Sticky rice had a lot of depth of flavor and was full of savory umami. A bit on the sweet side for me, though. 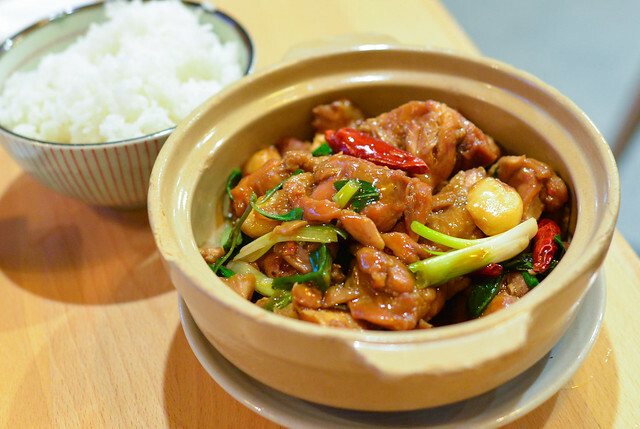 This traditional dish was ‘upped’ with a pretty generous portion of jidori chicken. Boneless, the chicken was very tender but the overall dish just needed more of the sauce to be great. This definitely was a comparably lighter version to others I’ve had, but I wanted more of the rich, savory sauce enveloping each piece of chicken and to put atop the white rice. This was excellent. The noodles were thick and chewy, beef was flavorful and tender, and vegetables were crisp and bright to balance it all out. Bringing it together was the hearty broth, really just a good bowl. If anything, I just wish they provided the deeper Asian soup spoons rather than shallow metal ones. I left Pine & Crane pretty satisfied. 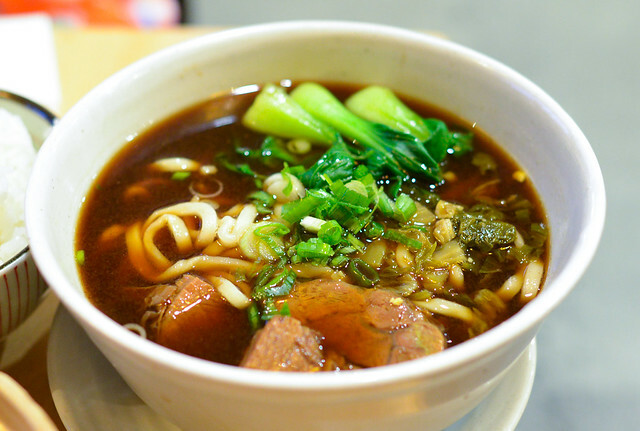 There were some nitpicks throughout the dishes but the food was generally strong and that beef noodle soup was something to remember. I’ll have to try their other noodle dishes next time. The level of ingredients were definitely a notch above a typical Taiwanese restaurant and, while the prices are higher too, I think they’re very fair…particularly for this part of town. Service on this evening was truly excellent, too. 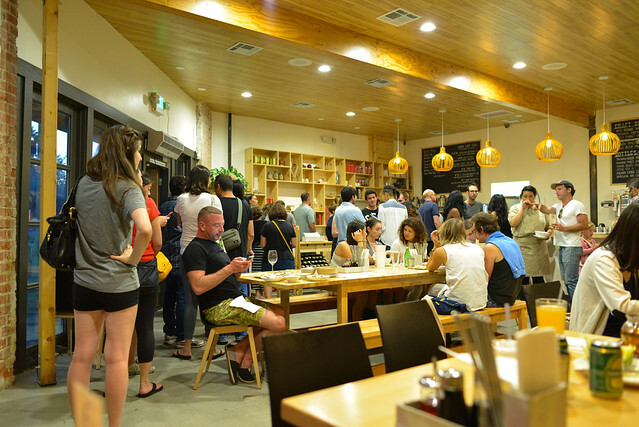 I can definitely see why the restaurant is so popular and I’m glad to see it thriving in Silver Lake. I love Pine & Crane but have not tried the dishes you’ve listed. I think it’s time to go again!